This cozy living room is perfect to relax on the couch or in one of the side chairs. You can enjoy a movie on the TV or just cozy up in front of the electric fireplace. The queen-sized sleeper sofa is in the living room along with a separate chair. Dining table, seating for two. This cozy living room is perfect to relax on the couch or in one of the side chairs. There are granite counter tops in the kitchen, one housing the stainless steel sink and the table with seating for three. There is full stove, microwave, coffee maker, toaster and a average sized refrigerator which makes it more unique from our other one bedroom units. The queen-sized sleeper sofa is in the living room along with a separate chair. Off the living room is the walk-out screened in patio with seating for two. The building was under maintenance when were there in April but they only worked during business hours and cleaned up after. The room itself was great and the location can’t be beat!! Easy walk to shops, restaurants, beaches, everything. Manager of our room was very friendly and helpful. It's right off the road, across from the water. Just down the street are plenty of shops and places to grab a bite to eat. They do have a pool but I really wish they had a hot tub because we did stay when it was colder and that would have been nice. It was quiet and clean. Our room was very nice. I would probably stay here again but probably only in the summer. The room was very clean and beautiful. Loved the location to downtown. 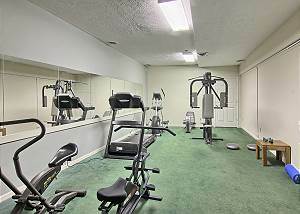 Location to shops, restaurants and attractions were all in walking distance which was convenient. The noise from the street was pretty loud when patio doors were open; too loud to enjoy a cup of coffee out there in the morning which was disappointing. We stayed recently for a wedding and the room was amazing! It was so nice having a home away from home and the screened porch was a nice touch. The room was as-is from what you see online. I honestly wish we could've stayed longer. It was a short walk across the bridge to downtown and a quick walk to Lake Michigan. It was in the perfect location!